Dr. Snook was born in Grand Rapids, Michigan. He graduated from the University of Michigan. He then attended the W.M. Scholl College of Podiatric Medicine in Chicago, Illinois. He then completed three years of residency training in Chicago, first at the North Chicago Veterans Hospital for one year followed by two years of surgical training at St. Joseph Hospital in Chicago, Illinois. He joined Associated Foot Surgeons in 2009 and practices in the Belleville, O’Fallon, Maryville and Staunton, Illinois offices. He is Board Certified by the American Board of Podiatric Surgery, as well as a Fellow of the American College of Foot and Ankle Surgeons, the American Podiatric Medical Association, and the Illinois Podiatric Medical Association. 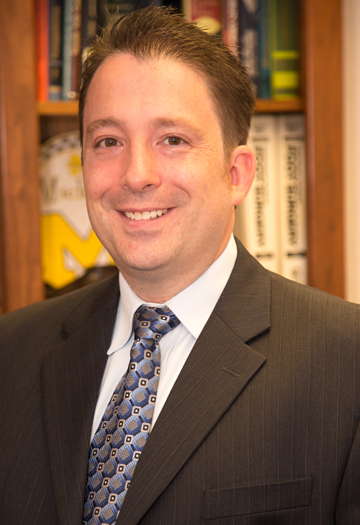 Dr. Snook has also been published in the Journal of the American Podiatric Medical Association. Dr. Snook is married and has three children.